It’s been a very long winter. We’re suffered through the coldest February on record. We’ve survived 119 inches of snow thus far (more than Buffalo and Rochester). Oh, plus it’s nearly Mid-April, and until this week, we still had snow in parts of our yard. Grrr! 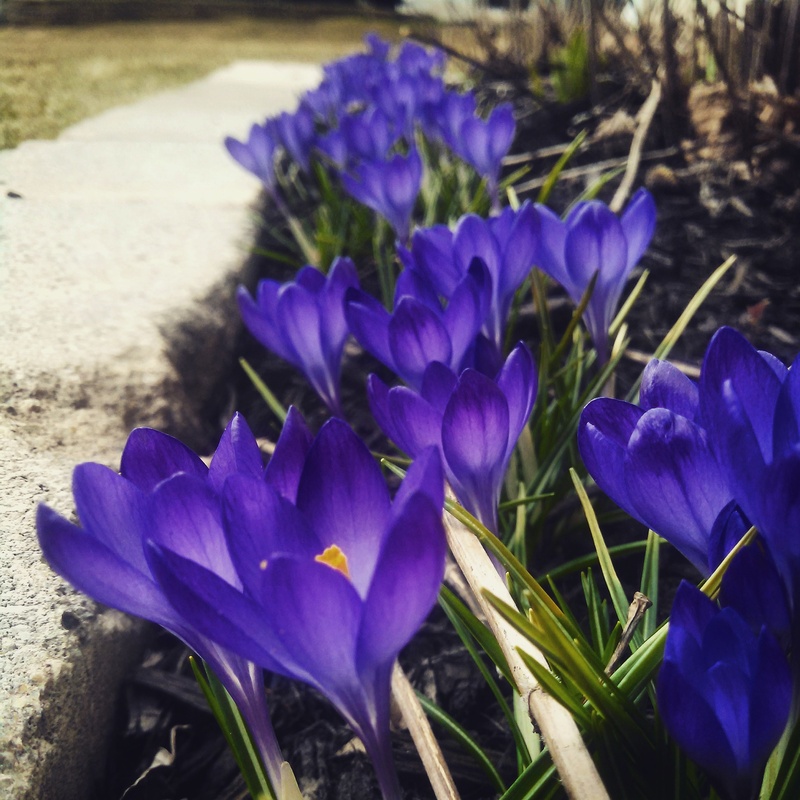 On a happier note, my crocuses are blooming and they’ve multiplied since last year. 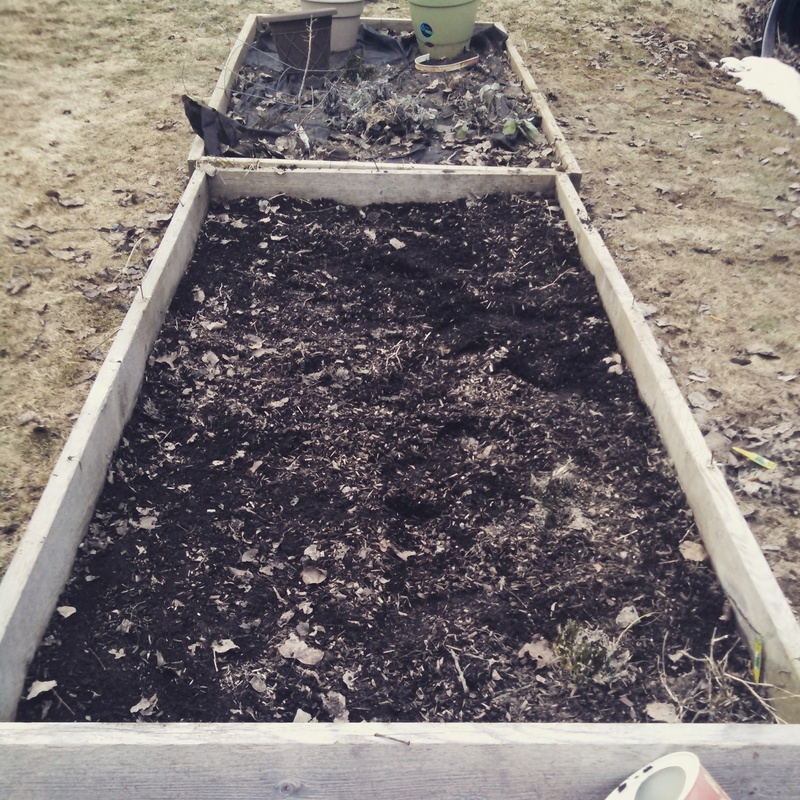 And now it’s time to start prepping my garden for 2015. I need to clear out any remaining plants/weeds, work the soil, add compost. In my second bed (pictured with the pots), I will need to spend some extra time since last year I found the dirt to be more clay-like and prone to weeds. When the weather warms, I’ll work on my pots (for the various hybrids I grow) and Topsy Turvy planters (tomatoes). I wish I could get some more plants from Cornell University! A couple years ago they gave me the BEST peppers plants. They produced bell peppers like rock stars. WHAT I WILL BE GROWING FROM SEED: Cauliflower, beans, butternut squash, delicata squash, zucchini, spinach, and two varieties of carrots. I will also plant sunflowers and chamomile. They are almost all repeats from previous years. Almost all seeds are organic. WHAT I WILL BE BUYING AS A PLANT FROM MY FAVORITE GARDEN STORE: Green bell peppers, onions, jalapenos, long spicy peppers, tomatoes (grape, roma, and cherry), and herbs (basil and cilantro). 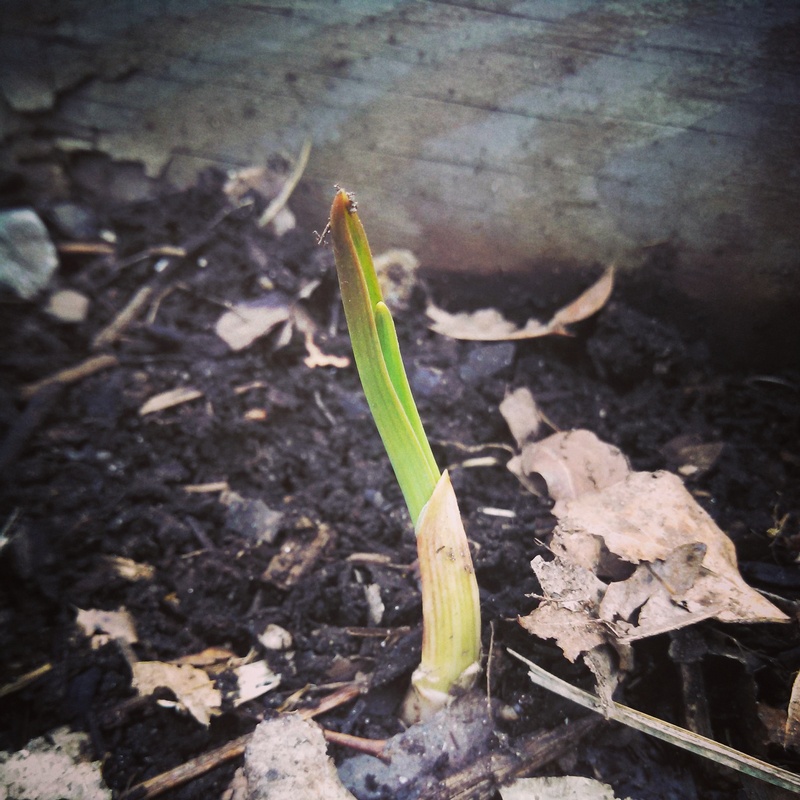 WHAT’S ALREADY GROWING: Garlic, leeks, and chives. PERENNIALS NOT YET GROWING (hoping the winter didn’t destroy them): Lavender, oregano, and thyme. DREAM-LIST: To start composting and …. chickens???? Ha, the chickens may actually be Xander’s dream. The farm a mile down the road has plenty of chickens and eggs to make us both happy. I spy garlic. Looking forward to spring scapes!